This page is an official Wikisimpsons policy and must be followed. Failure to do so will result in consequences. 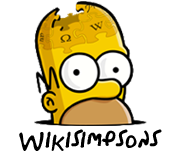 This is a list of Wikisimpsons policies. Failure to keep to these will result in consequences, mainly editing or uploading rights taken away. Modified on October 18, 2014, at 15:08.